Pixel Smartphones have set a benchmark when it comes to photography and videography. 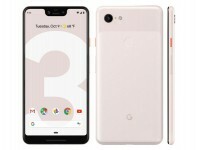 Google Pixel 3XL is a high-end Smartphone which packs in almost all the features that one desires. Google Pixel 3XL is all set to launch on November 1st 2018 in India and its price starts from Rs. 83,000. The phone is already launched in the USA and we are presenting you folks with a quick hands-on review. There is no significant difference in terms of Pixel 3XL looks when compared to Pixel 2XL. However, the phone sports a bigger display of 6.3 inches with immersive QHD+ resolution. The screen undoubtedly looks stunning but the thick and deeper notch is a bit of disappointment. The classy glass matte finish offers an awesome grip and also resists fingerprints. We have absolutely no complaints on the gorgeous OLED display of Pixel 3XL. As the panel is brilliantly colourful and is just accurate. However, it would have been better if it was on a little brighter side. Apart from Google's impressive camera, the thoughtful software and AI capabilities add to compelling features. The device runs on Android 9 Pie, which gives an excellent makeover for the operating system. It adds brilliant tweaks like smart rotate button to prevent automatic screen rotation. The other features include App slices, which lets you do things without opening the app itself. On the whole, Android 9 Pie enhances the overall interface. Google Pixel 3XL performs at lightning speed with Qualcomm Snapdragon 845 processor and 4GB RAM. Whereas, it's high-end competitor Android phones offer 6GB or even 8GB of RAM. Nonetheless, Google Pixel 3XL offers a buttery smooth performance with an excellent gaming experience. It wouldn't be wrong if we crown Pixel 3XL to be the new king of gadgets. Yes! The phone sports the ultimate camera ever. The dual front cameras pack a wide-angle lens to accommodate more scenes into your selfies. The AI camera feature makes it a piece of cake to capture the best pictures ever. The latest Top shot feature on 12MP rear camera clicks a bunch of photos in succession and lets you choose the best one. The other features like Super Res Zoom are pretty impressive and the Night sight feature will significantly boost the photo brightness. The front camera wide-angle lens captures impressive selfies by squeezing in more from the background. Overall, Google Pixel 3XL is sure to win hearts for its outstanding camera. Google Pixel 3XL comes with 3,430 mAh battery, which is a little lesser than Pixel 2 XL's 3,520 mAh battery. The 3XL battery life is undeniably manageable but for a heavy user, it might be a tad of disappointment. Pixel 3XL has no headphone jack but Google USB-C earbuds sound super good and you will certainly love its access speed with Google assistant. Google Pixel 3XL is the first Pixel Smartphone to support wireless charging. The additional Pixel stand serves a great purpose in addition to fast charging. You can enjoy looking at the pictures or control home gadgets or listen to music with the front firing speakers. It is no less than a mini Google Home dock. Pixel 3 XL certainly makes the smartest and best camera phone ever. This phone is the one which sets a yardstick when it comes to AI and Camera performance. For those who are serious about photography, Pixel 3XL can be the best choice to offer excellent value.